You are a problem…maybe the biggest problem of all. No? The crashing router code is the biggest problem? The leaking memory in the switch? The app needs layer 2 stretched between data centers–what problem could be worse than that? Today on the show, we’re here to argue that, no…it’s you. And me. And everyone else you work with. With us today to defend the idea that technology problems are really people problems is Eyvonne Sharp, network architect and co-founder of The Network Collective. 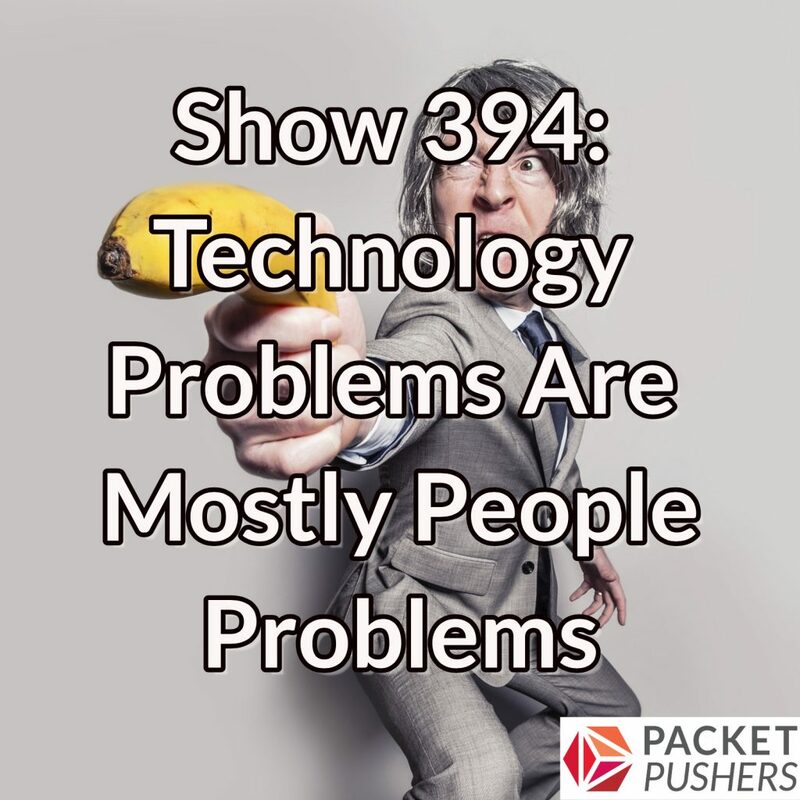 We talk about how people and processes can contribute more to a problem than a technology. We also talk about three different organizational culture types (Pathological, Bureaucratic, and Generative), how to evaluate your own organization, and Eyvonne recommends a few books on team building and culture development. Great podcast. Appreciated it very much. I left consulting and went back to the enterprise and have been struggling with just how dysfunctional it is. Keep up the good work and thanks for introducing me to Eyvonne. Brilliant podcast as usual. I love the tech-focused episodes, but the very practical ones like this are still my favorites.